This stunning arrangement will have you going Gaga!! Standing nearly 4 feet tall. 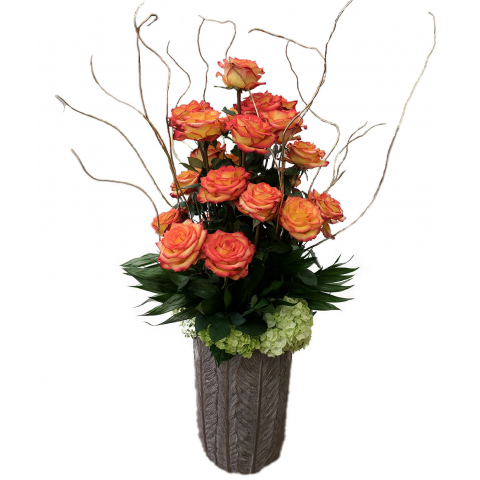 This lavish etched vase with golden trim is filled with 2 dozen premium long stemmed High & Magic two tone orange roses, bountiful bunches of Hydrangea, lush tropical greens, and gold gilded branches create a bold yet unassuming focal point for any area in your home, business, or event. Local delivery only. Rose color substitutions available upon request.